If you are seeing the Kinect and have installed the libusb drivers that option will be enabled ONLY when you have selected the Infrared Image. It is disabled when the RGB image is being used. The restrictions on this are placed on the module by the driver. 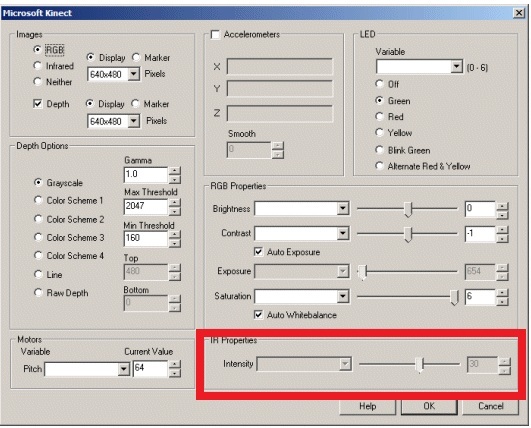 We cannot enable the IR mode and RGB mode simultaneously.